I am having some custom Jake stickers made, here is the mock up of what they will look like. had the silver trim done to match my machine silver coupe. im also going to have this logo embroidered on my head rest. That would make a cool iron on/ sew on patch for the headrest! Shh.... you didn't hear that from me. cropped out the backgrouns, this is what the decal will look like and the headrest. as far as GM goes they should worry about not having to file bankruptcy not some guy in texas putting a sticker on his car. What is the origin of Jake? Is it a Corvette only thing? Did GM create it? Looks cool, I like it!! The sticker is very cool. I think folks are just trying to help based on some past instances. Even though you are not making or selling them, the problem is that it sounds like someone is being paid to produce it. That is technically copyright infringment. While I would hope that nobody (GM) would get too upset about a single instance, it sounds like that might have happened in some instances. Maybe the guys over at BadBoyVettes will pickup on it and make it a legit item so we can all get one! If that's how you feel, what are you doing posting here? I don't think you have anything to worry about as long as you're not selling them. The shop doing the embroidery might have a problem, though. 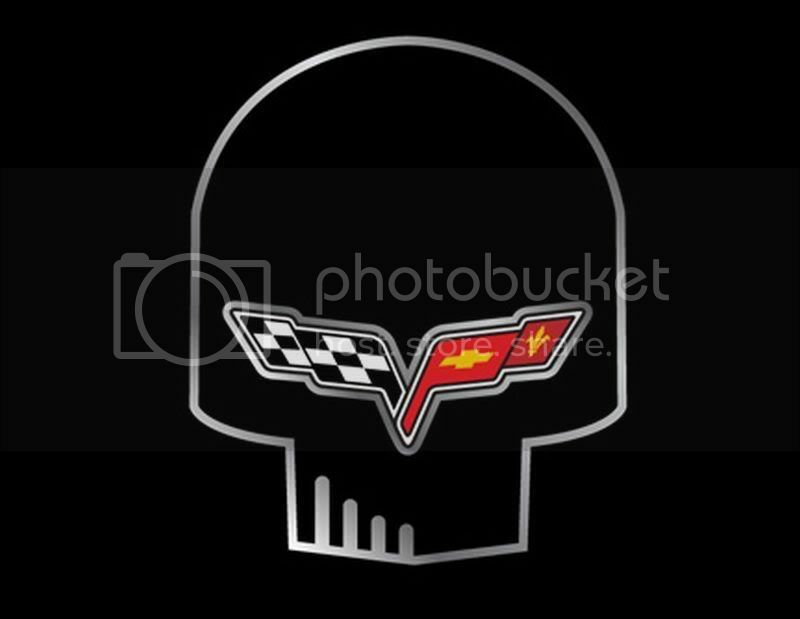 I wanted some special head rest covers made for my Chevelle, when I had it, and I had to find a shop that was licensed to GM stuff. thats what i would say if i was rude i started this post becasue i found a cool sticker and all i get is people on here bitching about copyright instead of wether they like it. i am on several forums and they all complain that this forum is corporate run and has issues. i did not think it was true until now.